The movie trailed at the box office behind Wonder Woman and Cars 3. 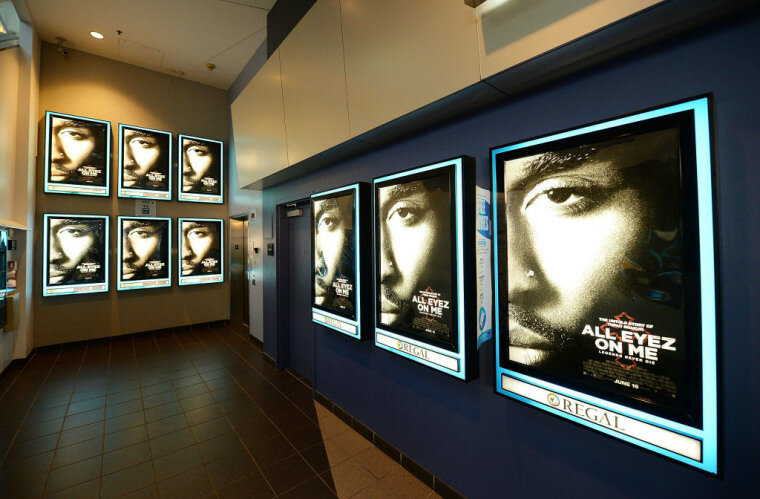 All Eyez on Me, the new Tupac Shakur biopic, entered the North American box office at No. 3 over the weekend. The film took a total of $27.1m from 2,471 theaters, according to the Hollywood Reporter, putting it ahead of expectations. The two films ahead of the rap drama were Cars 3 and Wonder Woman. The Disney/Pixar sequel opened with $53.5m while Wonder Woman took $40.8m, taking its domestic total to $274.6 million. All Eyez on Me was released on June 16, which would have been Tupac's 46th birthday. It is directed by Benny Boom and stars Demetrius Shipp Jr. as Tupac. Jada Pinkett Smith took to Twitter on Friday to clarify what she claimed to be incorrect details in the film, which she described as being "deeply hurtful." Watch the trailer for All Eyez On Me below.